Totally unrelated to Couture, Warhol, Cupcakes, Music, and Choo's...this post is just another Starbucks post. Sitting here in the back, I'm surrounded by workaholic business men prepping for a very important meeting later on in the day, Del Mar mothers catching up over coffee after a work out with their trainers, a young hipster couple very in love with each other's hipsterness, and a woman who is trying to cover up the fact that she is in last night's clothes, but failing miserably - just put on your sunglasses, get the low-fat turkey breakfast sandwich to soak up the wine you drank with "the one" on a Wednesday night, and go home and get yourself together. While clicking through emails, a man came up to me and asked me if I was "Anna." I said that I wasn't and turned my attention back to my computer. I saw him still looking over my shoulder slightly and turned around to look at him. He goes, "Are you sure you're not Anna? I'm only asking again because I was supposed to meet a very attractive woman named Amanda this morning and I'm afraid she saw me and just left. Now I'm on a blind date by myself." Note: I saw this man in a business meeting just a moment before he approached me. I may appear like I may not be connected with the world around me, but trust me, I observe everything. I then said to this man, "No, I'm not Anna. Or a very attractive woman named Amanda. She didn't see you and leave because you are very handsome and blind dates are all about appearance, not connection. And you're not on a blind date by yourself, you just left your business meeting and somehow managed to come up with this very coy pick up line to use on me." All he did was stand there and smile. He goes, "Did it work?" I responded, "Not this morning, I have a very wonderful boyfriend who is the only one able to tolerate me at this stage in my life. However, I have a fabulous friend." I'm setting them up for dinner this weekend, and could not be more excited. (This man was GORGEOUS - picture a young Harrison Ford with a few chromosomes from McDreamy...) For the rest of the time I'm here, maybe I'll forget about being Carrie Bradshaw and get my Patti Stanger face on. Recently, I've been asked what the inspiration behind my eye make-up is. Sometimes I go very au natural as I'm heading to pilates or partaking in our famous Skinny Cow & Movie Night-Ins. 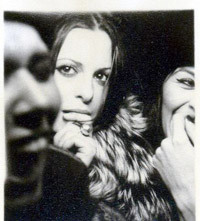 Other times I could be confused for Cleopatra straight out of the Nile, with eyeliner so intense I'd show up Elizabeth Taylor during a night out on the town. A reader sent in a question that really made me think though, "Coming from a fashion point of view, what inspires your make-up? Do you see make-up as a portrayal of fashion too?" I absolutely consider make-up as a portrayal of fashion. Look at all the great ad campaigns out there, most use make-up as a statement piece competing just as hard with the striking crocodile clutch that's being promoted. These two styles of make-up, shown below, I somehow combine to make my own. Twiggy's white bottom liner is a huge eye opener to Tom Ford's thick black liquid liner. 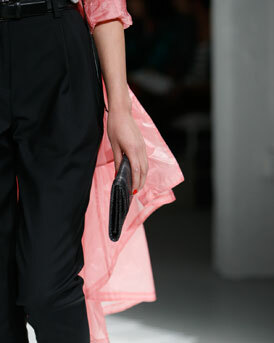 I love the look of boldness yet simplicity. 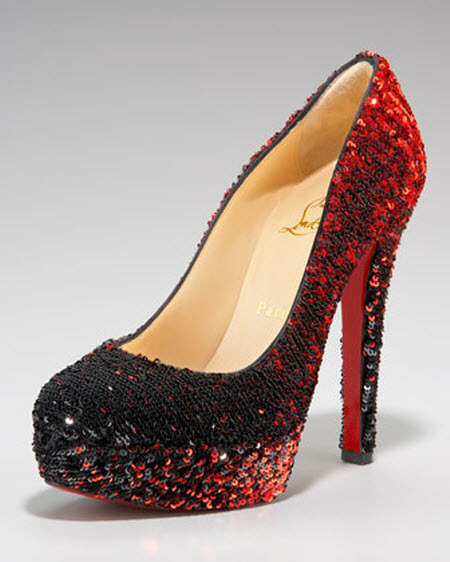 This sequined statement pair, new to the Christian Louboutin collection, reminds me of Dorothy's ruby red slippers. Perfect for the upcoming holiday season, pair these dazzling shoes with a great LBD and you're ready to go to whatever festive party may come your way. However, as convinced we are of Louboutin's magical powers, three clicks of your Louboutin heels don't always guaranteed a straight shot home...so make sure you're surrounded by great company - we don't want these fabulous shoes to go to waste! 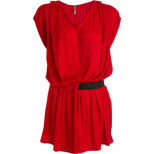 For a fun date night, Barney's Co-Op is an instant solution for any "what do I wear???" rush of panic that comes to mind after making plans to go out on a really fabulous date. Without being fussy, Co-Op has a huge selection of great outfits that are sure to be a hit. 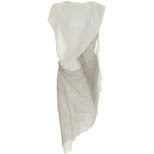 They can be dressed up, dressed down, and allow you to be taken out all around the town. I've picked out a few of my favorite date night dresses that are guaranteed to bring a smile to your date's face, available now for this Fall. P.S. Not sure if you noticed, but none of the above dresses I've picked out are black. Every girl has their selection of fabulous LBDs - which I am a die hard fan of and my collection takes up a ginormous (almost sickly) portion of my closet - but with that being said, every girl has their LBDs and most guys can't tell the difference between one LBD and the next. 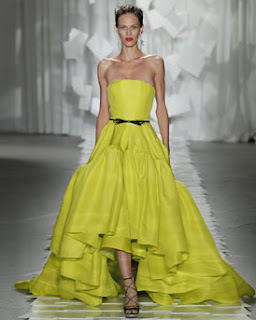 Go for color when you can, it's so much more fun and it's a sure way of making your dress (and self) stand out from the rest. 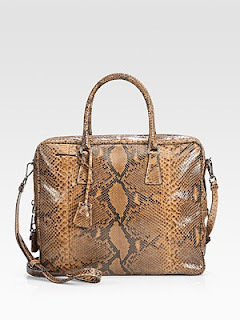 30 years after igniting the fashion industry with an insatiable desire for his unconstructed Buffalo bag, handbag designer Carlos Falchi returns to Bergdorf Goodman this Thursday, September 22 and Friday, September 23 to reintroduce this coveted satchel to the Main Floor. Now available in an assortment of bright candy colors, the Buffalo Bag‘s anticipated arrival will be marked by an exclusive assortment of the iconic silhouette in a variety of sizes and styles. 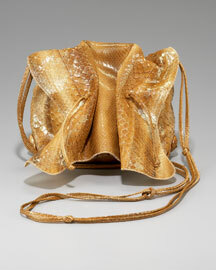 When Falchi debuted the signature satchel to his carnival of friends, rockers and starlettes (Miles Davis, Tina Turner and Elvis Presley were among the stream of musicians who favored the Brazilian’s looks he hand-stitched for them to wear on stage), Women’s Wear Daily declared the Buffalo ‘the most copied bag in the industry.’ The bag’s slouchy design and longer strap appealed to the long-haired, fringe-wearing glitterati who found the single-skin bag adventurous and all-purpose. A deep departure from the rigidly-structured European bags often seen on the arms of others during that time, the Buffalo was a breath of fresh air — giving its owners something carefree yet fastidiously stitched and constructed (Buffalo Satchels have been known to keep their original shape 30-years after they first were carried; we know this because we happen to own one of the first two Buffalos… and they still look brand new). 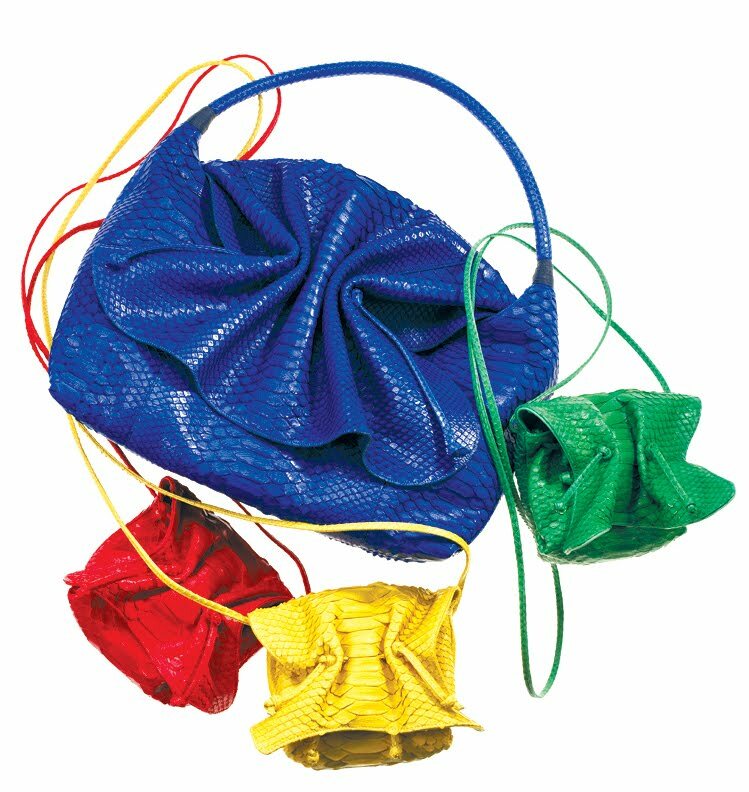 Now in a rich line up of vibrant hues, the Buffalo Bag continues its story in living color — introducing its signature silhouette to the vivid world of crimson, cobalt, emerald and crushed yellow — instantly enlivening your look in a multitude of shapes (like the messenger, satchel and shoulder bags). Falchi only will be here for a few days, so it’s best to scoop up one of these iconic bags before they return to the vault again. Woolmark has launched a global street style competition Find Fashion by Feelings with a major difference...and a major prize! 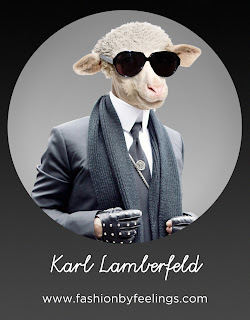 'Find Fashion by Feelings' is an interactive lookbook inviting users to upload their favorite wool looks into one of twelve 'Feelings' categories and vote for looks posted by other users. Categories include difference looks of 'happy' (a bold explosion of vibrant colors) to 'dark' (a sultry and deeper portrayal) and all emotions in between! 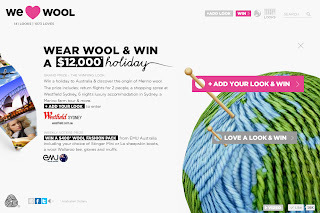 The look voted for most will win the grand prize, a AUD $12,000 holiday and wool experience and additionally, all voters will be entered into a drawing held weekly to win an 'EMU Australia' wool prize pack (worth AUD $400). 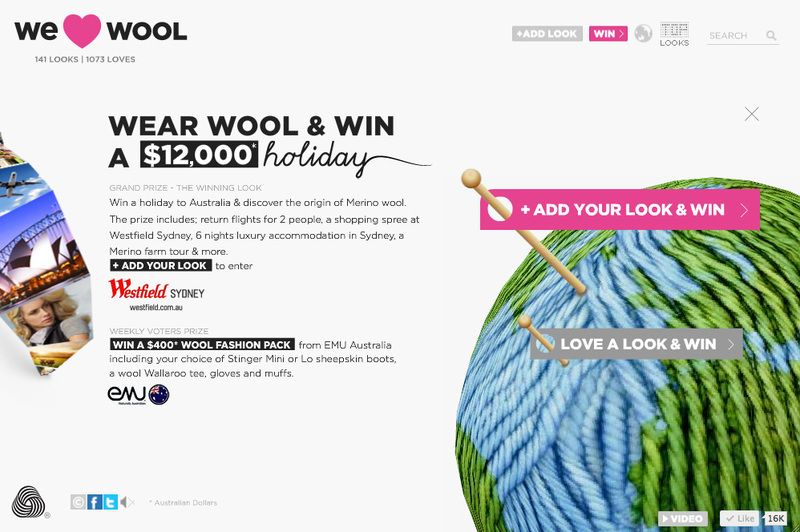 Aside from the 'Find Fashion by Feelings' launch, Woolmark has also launched a "We Love Wool" Facebook page trying to gather an ever growing community of consumers, retailers and designers who all share the same support for all things wool in their world of fashion. This is such a great campaign to embrace, be apart of, appreciate, or at least be aware of! 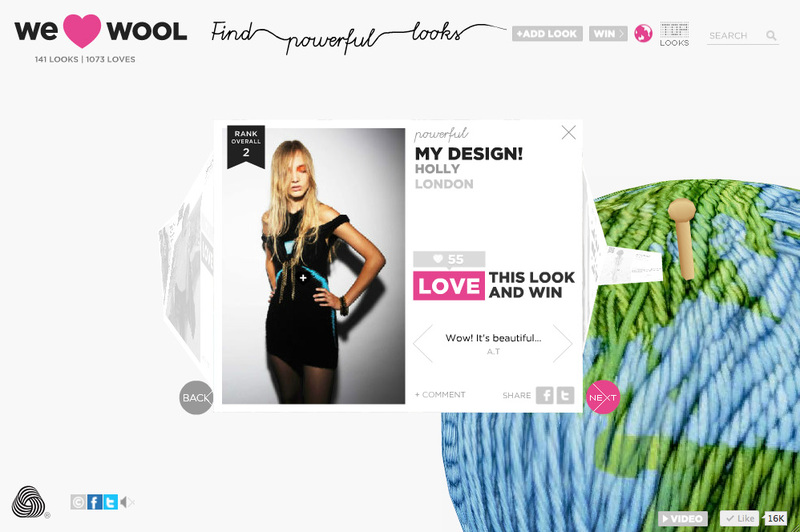 Check out Woolmark's 'Find Fashion by Feelings' campaign and the "We Love Wool" community today! A Big Wuuu for Jason Wu's Spring 2012 Collection. 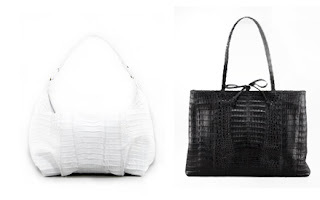 One of my favorite contemporary designers, Jason Wu, currently has a Spring Pre-Order Event going on at Bergdorf Goodman online for the Jason Wu Spring 2012 Collection. I am just obsessed to the moon with all of these looks. 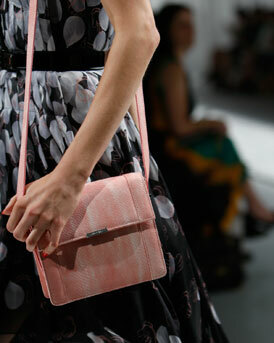 I think that this may be one of Jason Wu's best collections to date. 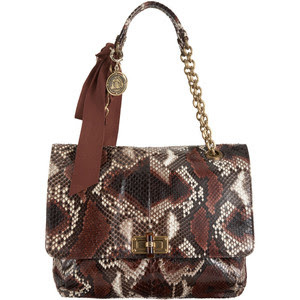 The Spring 2012 Collection by Jason Wu also includes three great accessory staples. 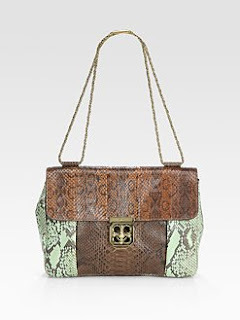 I really love the clutches (the size is perfect and the structured style is so chic), but it was the Crossbody bag that really caught my attention! 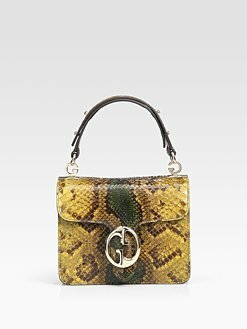 By no means do I condone the "crossbody bag" - not by Chanel, not passed down as a vintage staple by your deceased grandmother - but this one by Jason Wu is severely hot this Spring! 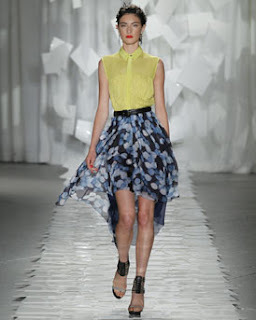 View the rest of the looks and shop the Jason Wu Spring 2012 Collection available for Pre-Order on Bergdorf Goodman online now! “Who am I? I'm a poet. My business? Writing. 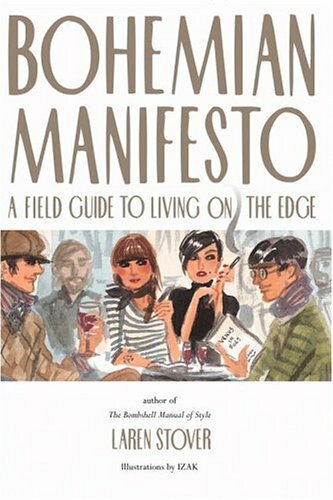 Bohemian Manifesto is one of my very favorite books in the world. Given to me as a present from my Mom during a time where I was reaching my true Bohemian self, I found it the most fascinating read. 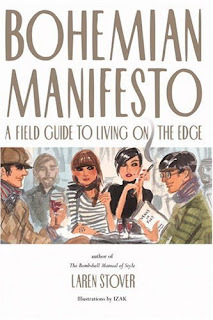 It is a front to back guide to the world of Bohemianism and the proper way to go about finding your own "Bohemian Identification." "No one can truly define a Bohemian, although Bohemians themselves, from Charles Baudelaire to Jack Kerouac, have tried to name and justify their particular brand. That said, there are, if you use a little imagination, five distinct Bohemian mind-set/styles. There are also many crossovers and hybrids. Beats, for example, may have Zen leanings or the foppish trappings of a Dandy. The Bohemian by nature is not easily classified like species of birds." 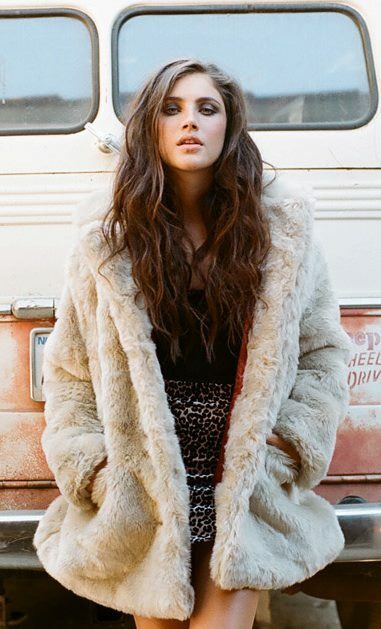 What brand of Bohemian are you? 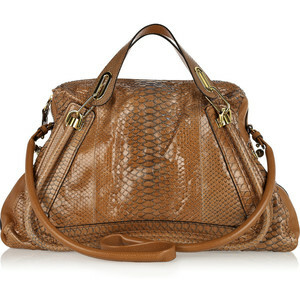 After looking at these beautiful bags, how can you do without your own pet Python to carry around this Fall? 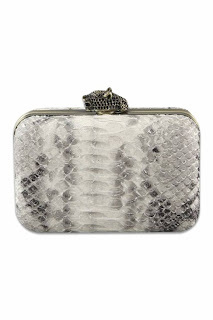 If you're not feeling like shelling out a couple grand, I've found a more affordable staple from House of Harlow you can clutch onto at a fraction of the price ($220). Inspired by rugged heritage, Frye boots combine rich leathers, quality hardware and one-of-a-kind styling to create a collection that's forever cool. 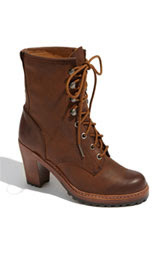 I'm actually really loving the Frye boots available at Nordstrom for Fall 2011. I'm not a huge fan of the "rugged" boot, distressed jeans, flannel wearing, "lumberjack" inspired style...however, these are really fun for a casual step down this fall. 1. 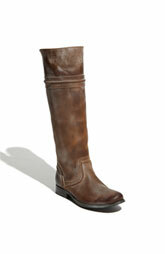 Pick a style that isn't completely evolved into a classic Frye boot. Ok, ok, I know that step was too easy and doesn't even count as rocking a Frye boot, but the 'Naiya Kiltie' Oxfords are such an incredible pair of shoes that I had to show them first! 2. 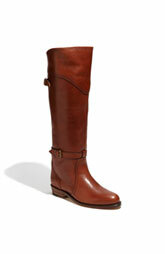 Go for more of a classic riding boot structure instead of straight to the lace-ups. 4. Pretty soon you can add in a few straps. 5. 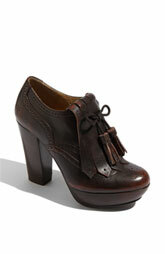 Now you can opt for some serious Sh*t-kickers! 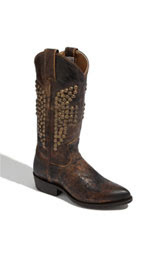 Just because you have a very "laboring" pair of boots on you feet does not mean you have to totally go for the light wash, holed up, cut-off denim. 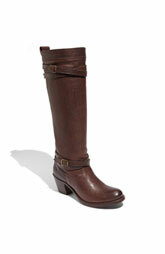 You can still wear a hot pair of skinnys tucked in to your Frye boots. You also don't have to full on rock the plaid. Try a chunky scarf, a classic James Perse button down, a structured bag, crochet leggings, an oversized sweater, or a slouchy hat! Your options are endless. 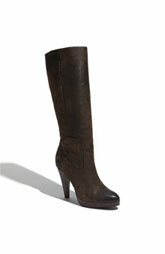 The point of these boots is to dress them up (using statement accessories will do the trick) or dress them down and have fun with them. Life is not a Beauty Contest. 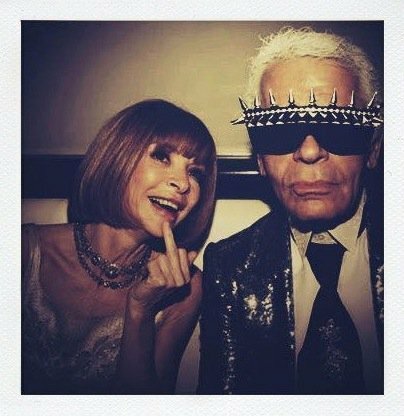 The sheiks of sequins and the sultans of studs. The secret source of tastemakers across the globe. NASTY GAL, founded in 2006, is the hottest place to find your coveted vintage clothing and accessories, as well as new desirable designer pieces. 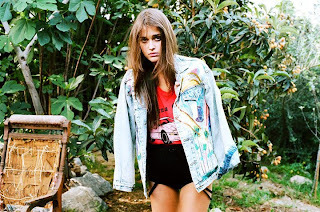 All of the pieces on NASTY GAL are handpicked, selected in a completely unique fashion, and come with an awesome history pertaining specifically to the piece itself. Not only does NASTY GAL sell the amazing treasures they find, but they also offer great styling ideas to the fashion obsessed throughout their website and blog - as NASTY GAL says, "just lurk regularly for style inspiration." Owner Sophia Amoruso has been combing the racks, pressing the pleats, and snapping the shutter for NASTY GAL since its inception. In her free time, she enjoys a good Salade Nicoise, a sturdy pair of platforms, and twirling around the studio every so often while blasting disco. P.S. 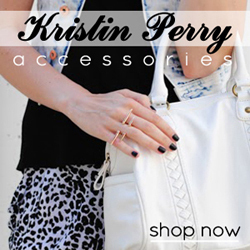 NASTY GAL has the most amazing leopard inventory! I'm telling you, they're really wild with it! NASTY GAL currently has an awesome pair of leopard pants similar to The Wild (Joe's Jeans) I bought the other day...and they come not only with fun zipper pockets but $40 in the pocket too, because they're that much cheaper!!! Slingback into Fall with Balenciaga. Kick Off The Day With Kirkwood.